The sales of all alcoholic beverages in Pennsylvania are strictly regulated by the Pennsylvania Liquor Control Board. The bureaucracy sets complex rules for the issuing of licenses to citizens who wish to own and operate any business that sells alcohol. More often than not, the process of obtaining or transferring a liquor license can quickly turn into a complicated minefield of forms, fees and requirements that almost seems designed for failure. Attorney Jack Cline and Attorney Gregory Metrick are experienced in assisting potential bar and restaurant owners navigate the red tape as they seek a successful application for a liquor license in Pennsylvania. 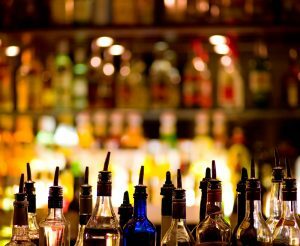 They also have the expertise to represent owners who have been cited and penalized for alleged violations of Pennsylvania’s convoluted liquor code. Recently, Attorney Metrick was successful on appeal in overturning the Liquor Control Board’s decision to not renew a bar owner’s liquor license. Attorney Gregory D. Metrick argued that his client had already been penalized by the LCB in the form of fines and suspensions, and that he had taken substantial steps toward correcting the issues and has been violation-free for over one year. The Mercer County Court of Common Pleas agreed and ordered the LCB to renew the bar owner’s license.